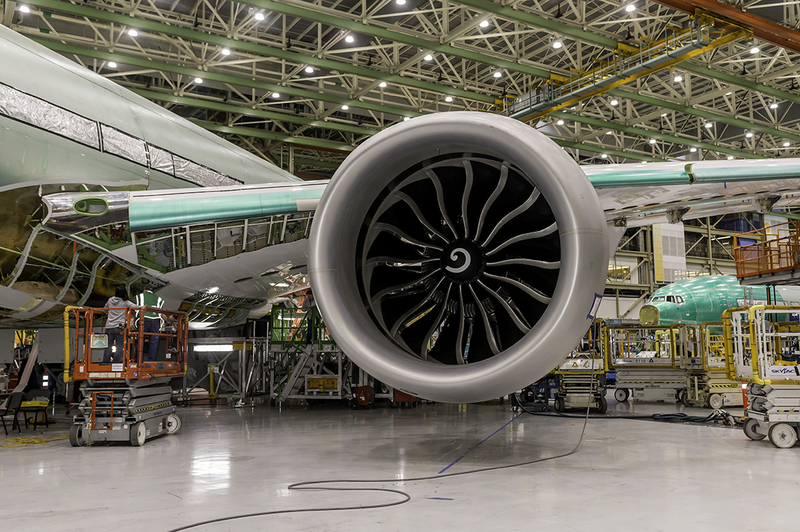 Boeing's 777X gets its engines installed. The 777X first delivery is slated for 2020. 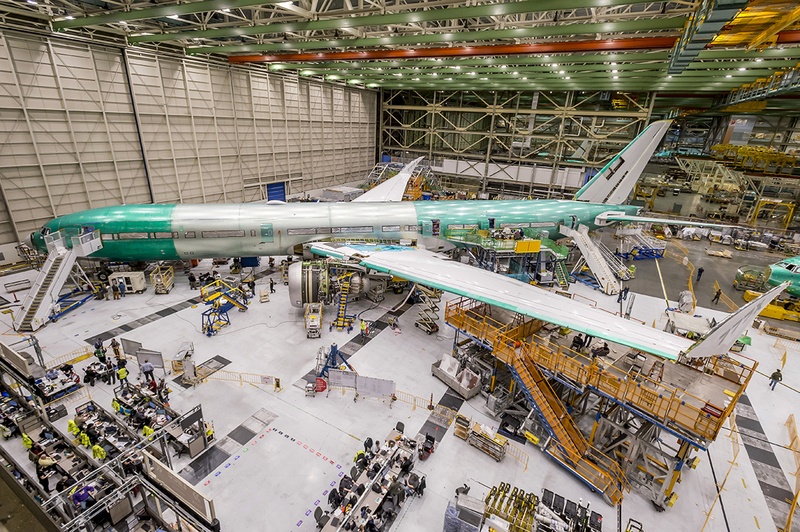 To date, Boeing has won 340 orders and commitments for the 777X from a range of airlines, including All Nippon Airways, Cathay Pacific Airways, Emirates, Etihad Airways, Qatar Airways, Lufthansa and Singapore Airlines. The Boeing 777X will be capable of flying nonstop from New York to Sydney and Sydney to London with 300 passengers, and recently went through the power-up process which enabled Boeing to test every system on the aircraft to ensure that when it is unveiled, it is fully functional. Boeing is coy on announcing a roll-out date but industry sources say it is expected in mid-February. Boeing is building two models of the 777X family: the 400-seat -9, which will be the first to roll out and the longer range -8, which can seat 350 passengers and has a range capability of more than 17,220 km. It is this model that Qantas and Air New Zealand are evaluating shortly. The driving force behind the 777X is Emirates President Sir Tim Clark, whose airline is the lead Sir Tim describes the 777X as "an absolute peach." Key to his enthusiasm is the aircraft's economics and greater space with a wider cabin with bigger windows. 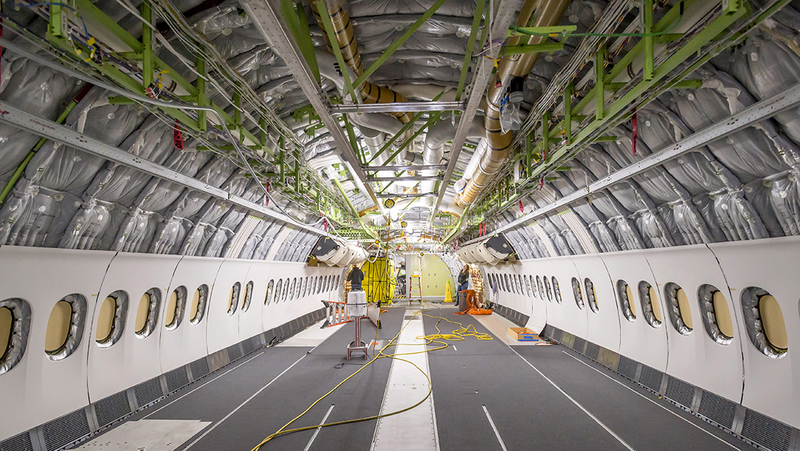 Interior fit-out has started on the first 777X, which will be filled with test equipment. Qantas's competition, called "Project Sunrise" also includes the Airbus A350 and the airline is demanding Sydney to London non-stop capability with 300 passengers 9004] Both Airbus and Boeing say they can meet the airline's demands or close to it. Air New Zealand is going to accelerate the redesign of its interior offering at its Hangar 22 seating project after it decides on either the Boeing 777X or A350 in April. com at the inaugural of the airline's first service to Chicago in November that the airline had been bringing customers through to experience mock-up cabin spaces in an attempt to learn about space, storage, and privacy.